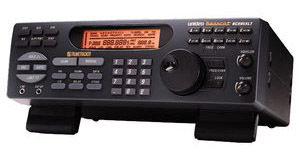 The BC-895XLT Trunk-Tracker is a 300 channel (ten bank) scanner. Since the introduction of trunked systems, tracking a conversation on a conventional scanner was virtually impossible. Now with the Trunk-Tracker™ System you can search, lock-on and track a conversation-even if the channel changes between replies. Trunk delay and Trunk lockout is featured. Scan at 100 channels per second. Other features include: LCD dimmer, S-indicator, channel lockout, count key, weather alert, autosort and ten priority channels. 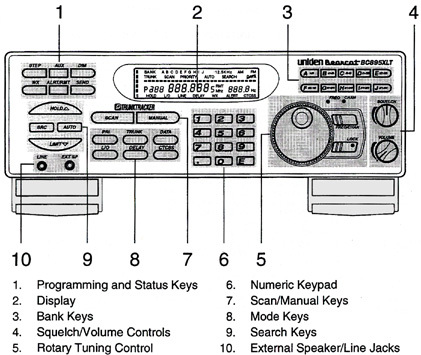 The BC-895XLT even has built-in CTCSS decode. 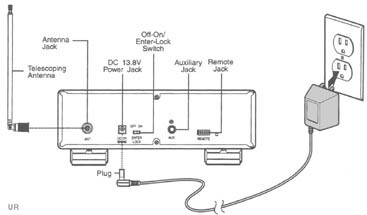 Jacks for: antenna (BNC), external speaker, record line output, auxilliary jack, 12 VDC power and 5 Pin RS-232 port (requires special software not provided and special cable (not available through Universal). With telescoping whip antenna, AC adapter, Operating Guide and Trunk Tracker Frequency Guide. 10.5 x 3.5 x 7.375 inches. Click here for specifications. Connection to a computer is optional. Connection to a computer requires additional software and additional cable both not provided. Copyright 1999-2007 Universal Radio, Inc.